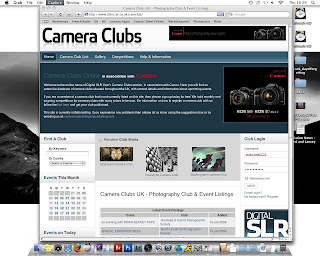 We now have our own gallery space on the DSLR User Camera Club website. They will be holding monthly competitions with many glittering prizes on offer to the photographers and their clubs - So get your images up there to help grab us some prizes! After all - If your not in it then you can't win it. Currently there is set galleries for the "Usual Suspects" (You know who you are) and a general gallery. We can create more if you would like your own gallery, so if you wish to be involved then send us an email at - inverclydecameraclub@live.com for a password and login details.